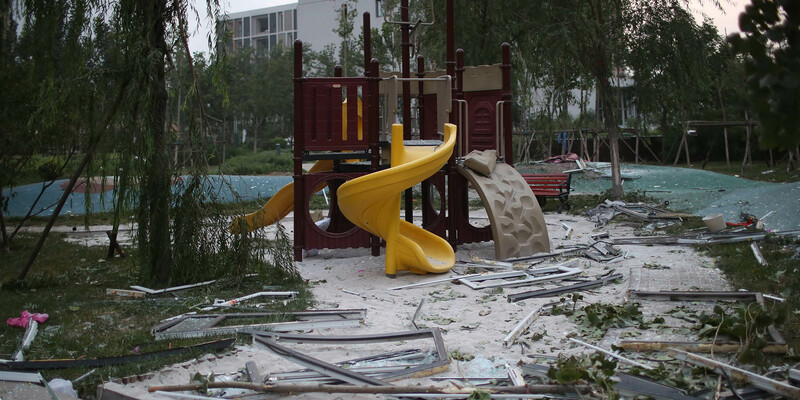 A devastating warehouse explosion last August has put the middle-class aspirations of Tianjin’s Harbor City residents on hold. Five days after the explosion, Shu Chang returned to his apartment in Tianjin’s Harbor City. It was like walking through a deserted landfill. The ground was covered in shattered glass and pieces of broken furniture. The buildings had been stripped of the decorative finish which originally covered their outer walls, exposing bare concrete beneath. Nearby lay the wreckage of an SUV. As Shu made his way through the compound, he found himself stepping here and there on doors that had been blown off their hinges and into the street. He was momentarily startled when one of these suddenly gave way underfoot with a loud crack. Shu reached Building 26 — once so familiar to him — and stepped inside. The lobby was in complete shambles, though a sign in red letters reading “Welcome home!” had somehow survived unscathed. The elevator was now useless, and all along the hallways there were shards of glass wedged into the walls. Shu began the long climb up the stairs. As he turned the corner at each landing, he caught a brief glimpse of his neighbors’ front doors between the flights of stairs. Some were marked with the deep red of bloody fingerprints. Harbor City had always been peaceful, but now it was eerily silent. It happened half an hour before midnight on August 12, 2015, in Binhai New City, Tianjin. 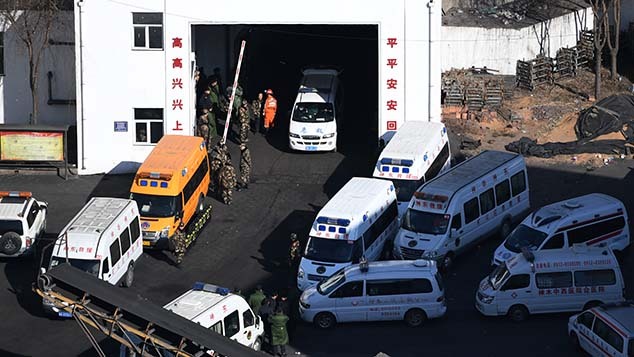 A shipment of ammonium nitrate exploded at Ruihai Logistics, an 11-acre logistics yard that handled hazardous chemicals. The resulting fireball billowed several hundred meters high. Some 165 people died, and eight people are still missing. Over half of the dead were firefighters trying to extinguish the flames that had started some 40 minutes earlier. 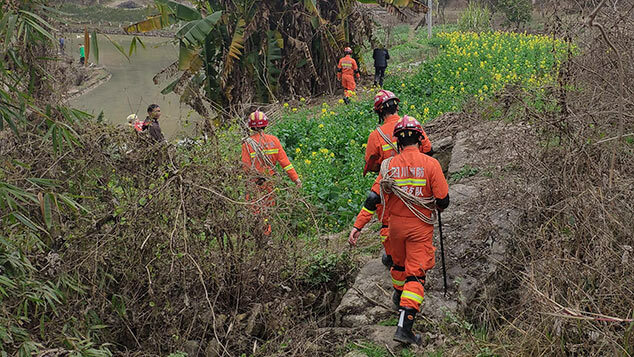 Part of the blame rests on the lax oversight of China’s chemical industry: Ruihai had long operated without the proper licenses, and the firefighters had arrived to put out what was called in as a regular fire, unaware of the dangerous chemicals being stored at the site. 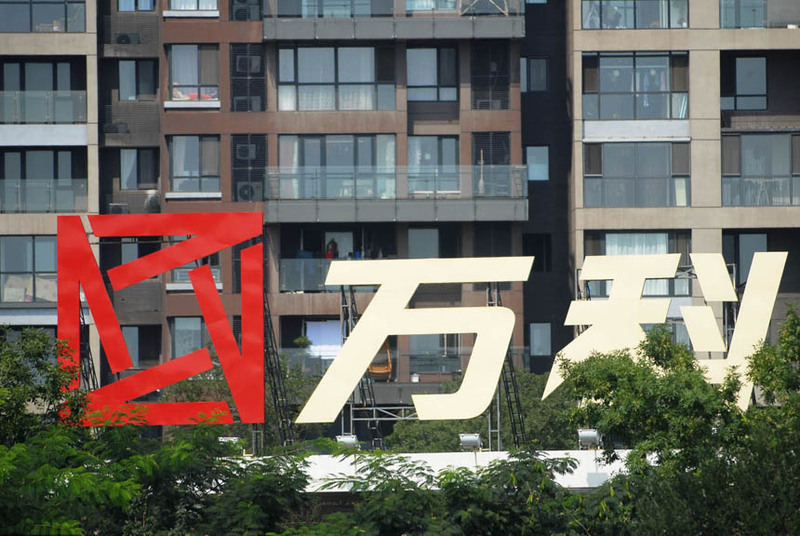 Equally caught by surprise were the people living near Ruihai Logistics. Young, middle-class families had bought their own pieces of utopia in Binhai’s many gated communities. One of these, Harbor City, was an ordinary gated community in most ways: modern architecture, an abundance of green space, and shielded from the noisy, chaotic world outside. It was also located just a few hundred meters from Ruihai Logistics — too close for comfort. On August 12, the security guards and high walls of Harbor City were not enough to protect the occupants and their middle-class dreams. As the Hai River makes it way downstream from Tianjin’s city center, it snakes through Binhai New City’s endless jungle of brand-new concrete, before eventually flowing past the Tianjin port and into Bohai Bay. Just a few decades ago, what would become Binhai was a vast, barren marshland — the land between Tianjin’s city and its port was too salty for anything to grow. All of that was to change when, on December 6, 1984, China’s government ratified the establishment of the Tianjin Economic-Technological Development Area, abbreviated as TEDA, and later nicknamed “Taida” in Chinese. Areas like this were to pull the proverbial cart of China’s new economy. Here, the alien concepts of the free market were given free reign before they were to be unleashed on the whole country. For now, though, Taida was just large tracts of mud. It took a while for development to truly take off. 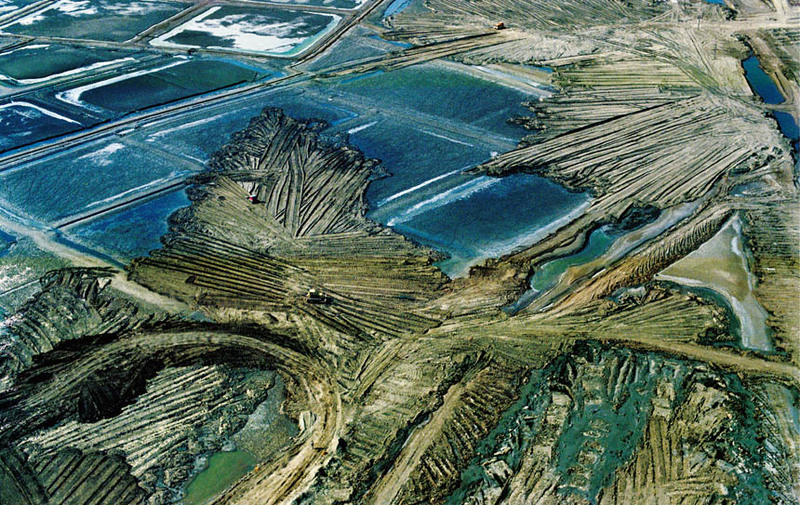 The first road sank into the ground when warm spring weather thawed the salt flats underneath, and whenever the wind blew from the wrong direction, dust from nearby Tianjin harbor’s coal depots would envelop Taida in darkness. In the first few years a disappointing number of companies had opened shop, and only some one hundred people lived in Taida — many of them hoping to leave as soon as possible. 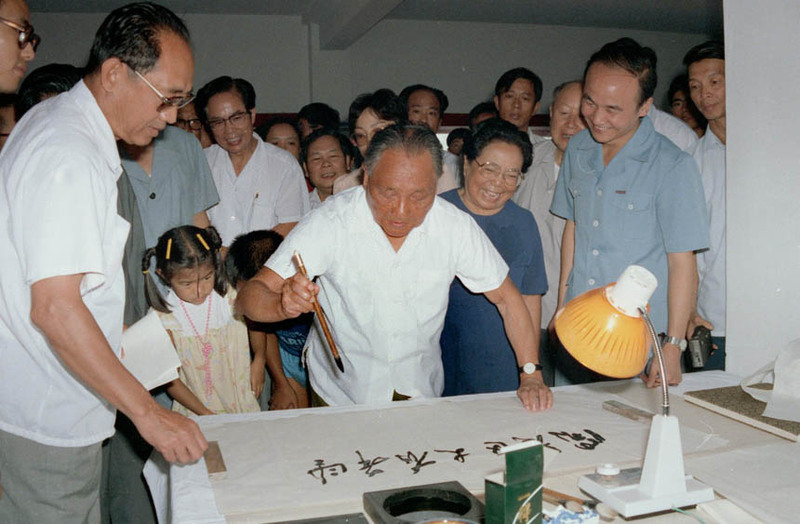 Deng Xiaoping, China’s leader at the time, was nonetheless optimistic when he came to inspect the area in 1986. The words he uttered then, “There is great hope for the development area,” are now enshrined on a stone plaque on Dongting Road, Taida’s first north-south thoroughfare. Dongting Road intersects First Street, the first of many numbered east-west avenues. Years of successive building projects later, this strip, barely a kilometer in length, became home to all sorts of facilities, including a stock exchange, a customs office, and the world’s first golf course built on a salt flat. 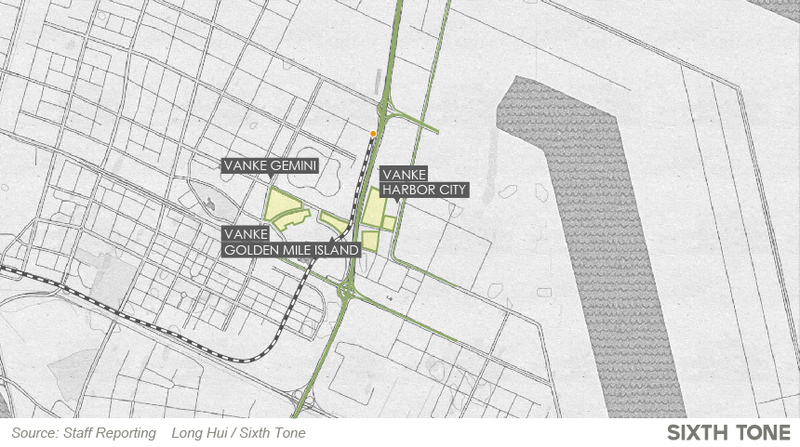 Tianjin harbor, ideally placed to serve Beijing and much of northern China, grew alongside Taida. High salaries lured many young men to Tianjin’s cargo docks, from places like Dezhou, Shandong province, 200 kilometers to the south. 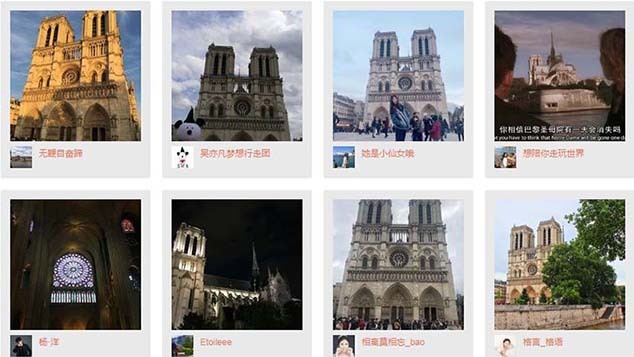 Among these was 23-year-old Liu Zhai. At the time laborers needed to go through a medical check to make sure they were tall (above 1.70 meters) and strong (at least 60 kilograms) enough. Liu was tall and strong, but still he drank plenty of water before the check-up to make sure he would be heavy enough, and soon he was on a coach headed to the port of Tianjin. When he arrived, he found there was work in abundance — if not at the docks, then in construction. Liu was making three to four times what he used to earn back home. After three years his wife joined him in Tianjin, and, like many others from Dezhou, they have not left since. 1992 was a turning point for Taida, the year wholly foreign-owned enterprises were allowed to open businesses in the area. 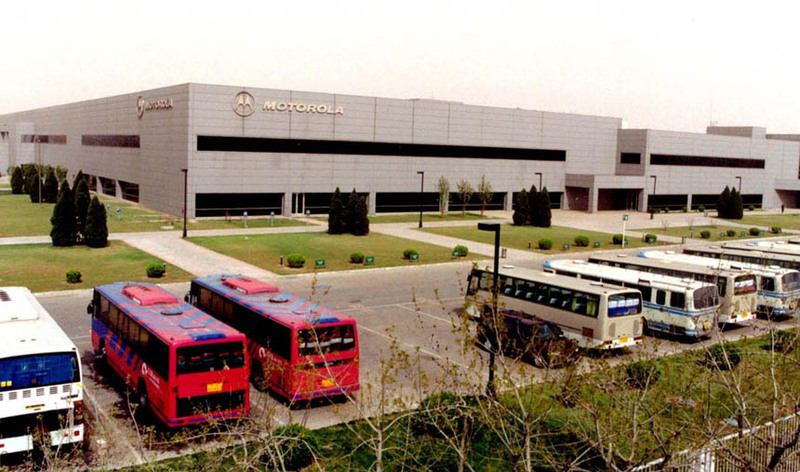 U.S. telecom giant Motorola was the first to open a factory, and Samsung, Coca-Cola, Nestlé, and other major corporations followed in quick succession. Nevertheless, the development area was still a remote location to work in. If you managed to hail the elusive 621 bus, it would be a long three hours before you reached Tianjin’s city center. When Taida was still in its infancy, white-collar workers sent to work in this faraway place would do whatever they could to engineer a transfer back to the city — a move they would later come to regret. When in 1995 Xiang Genghui started his job at Tianjin’s bureau of construction to work on Taida’s development, his dispatch letter said he was “to take part in the work of the revolution.” The phrasing could not have been a more inaccurate description for what the area was starting to look like. Taida, with its foreign, high-tech companies and its progressive policies, fully enjoyed the fruits of China’s economic upswing. After the turn of the millennium, landing a job in Taida became a competitive affair. A middle class — something long unheard of in China — was forming. Many couldn’t wait to join, and Xiang was glad he had never left. When Zhao An left the military for a position as a security guard at the Warner International Golf Club on First Street, the club was still surrounded by vacant plots of land. Later, Zhao made a career change into real estate. He was always anxious that the property market in the new district was saturated — yet it would never take long for another construction site to spring up. 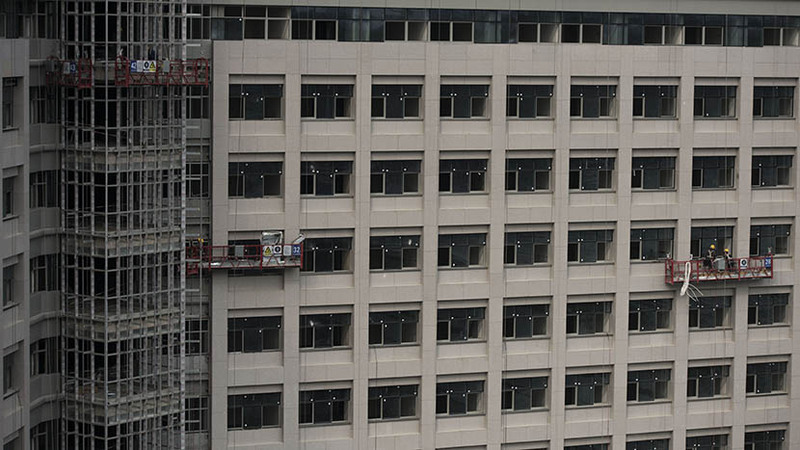 Unlike before, when a stray golf ball would have landed on wet wasteland, errant golf balls were now making contact with the windows of neighboring high-rise apartments. In 2004 the Tianjin subway expanded to reach Taida. Line 9 cut travel times between Tianjin and Taida to just 40 minutes, and passenger numbers soared. Jiang Ru became a conductor in 2005, and during his countless 40-minute journeys on the elevated Line 9, he was a witness to Taida’s continuous growth. The barren salt flats that had once flanked the route gradually turned into 30-story buildings as far as the eye could see. Xiang Genghui had made a career at the Tianjin bureau of construction, and he was living right in the center of Taida, the area that he had helped build. He had taken out a mortgage and bought a house on First Street. The location was his wife’s idea. She liked Taida for its peace and quiet, wide roads, new apartments, and abundant greenery. In November 2009, Taida and its surrounding areas were merged to form the Binhai New District. Xiang began referring to himself as a “new district resident.” There was something magical about this term, and he could not help but feel an upwelling of pride whenever he introduced himself this way. In addition to locals and Chinese from all over the country, many new district residents hailed from Taiwan, Hong Kong, Europe, and the U.S., giving the area an international atmosphere. Chinese who moved to the area felt like they had left China and arrived in an entirely new place, where restaurant staff would greet customers with “Hello, sir,” or “Hello, miss.” The companies that opened in Taida had also become more sophisticated. On Fifth Street, a new industrial park housed China’s National Supercomputing Center and its latest, fastest computer: Tianhe-1. The year Binhai New District opened its doors was also the year that Wen Feng graduated from Chengdu University of Technology and set his sights on making it in the big city. He had once read a biography of Deng Xiaoping, and the phrase “There is great hope for the development area” had stuck in his memory. Wen made his first trip to Taida the following year for a job interview. Afterwards, he decided he wanted to see the sea. He bought a map and estimated that it shouldn’t take too long to reach the shore. But after walking for over an hour, he had only made it to the Hai River Bridge, with the sea still nowhere in sight. 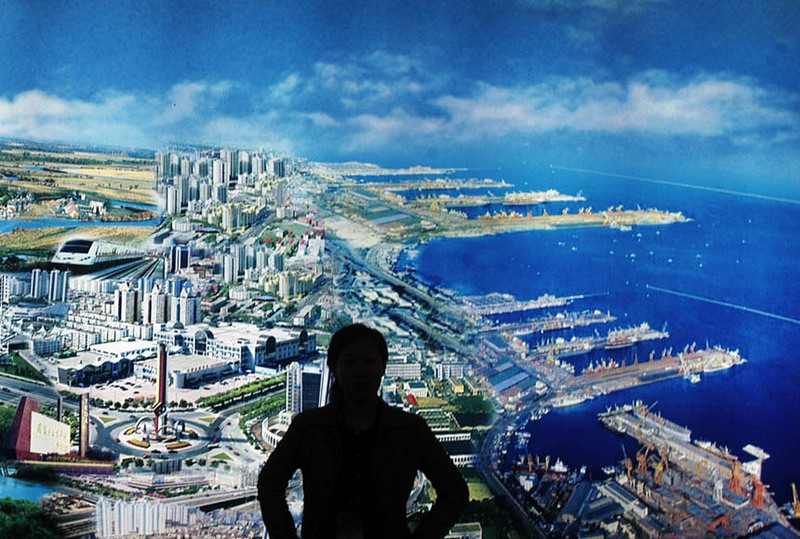 His map was out of date — due to ongoing land reclamation projects, Binhai New Distrct had grown by 110 square kilometers. Wen didn’t see the sea that day, but while he was out on his search for the shore he received a phone call saying he had got the job. Standing alone on the Hai River Bridge in the frigid March weather, Wen felt the bridge sway gently beneath his feet as a truck rolled by, dragging a cloud of swirling dust in its wake. Wen peered into the distance along the Hai River. He was convinced the sea lay at the far end. Zhang Jie, a Tianjin native, started working as a nurse at the Taida hospital in 2007. At the time it was rare for medical students to leave Tianjin for Taida. The city was home to several top-tier hospitals, but Zhang was stubbornly insistent: She did not want her relatives living in the city to expect her help every time they wished to see a doctor. She wanted to escape to a new environment. Before long she fell in love with a colleague, Guo Shanyi, and rarely had a reason to visit Tianjin. Guo hailed from northern Shaanxi province. There was a constant influx of people like him, who came from all over the country to Taida’s land of opportunity. Domestic migrants accounted for over 80 percent of Binhai’s population. Attracted by Taida’s supply of jobs and relatively low property prices, they made Binhai an extremely young and well-educated city. A survey in 2007 revealed that over 60 percent of the population was between 18 and 29 years of age, while people over 60 accounted for a mere 2 percent. One-third of the population had received higher education, a proportion much larger than the national average. Signs indicating that the area was flourishing were evident wherever one looked. A succession of malls and leisure centers were opening their doors. Construction began in 2009 on the Chow Tai Fook Binhai Center that, once completed, will be Binhai’s tallest skyscraper at 530 meters. The Japanese shopping mall Aeon opened in 2010, and the high-end Taida Mall opened for business at the end of 2014. A large, middle-class neighborhood began to take root in central Binhai. 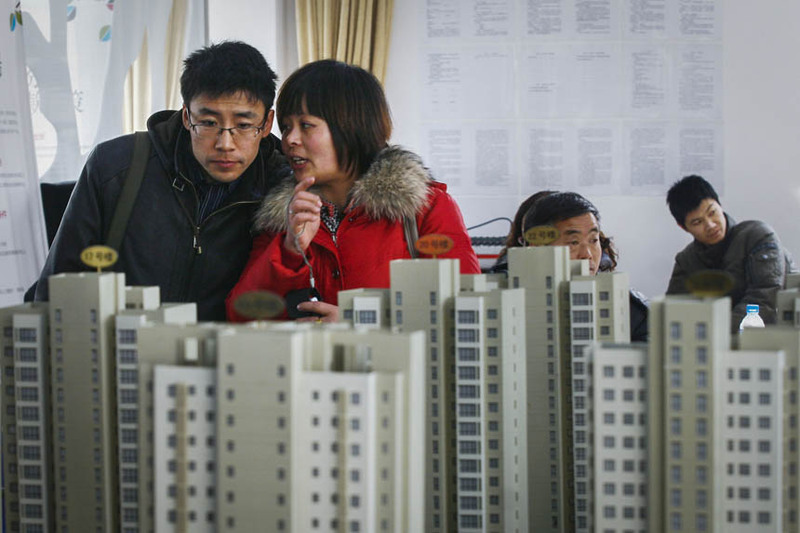 Chinese societal norms dictate a house has to be purchased before there can be a wedding, which means virtually every young urbanite’s number-one priority is to become a homeowner. To satisfy this enormous appetite for living space, concrete jungles of high-rise housing projects have enveloped virtually every Chinese city. Most of these new houses are part of gated compounds — groups of near-identical apartment buildings walled off from the outside world, small enclaves within a larger metropolis. Each week Wen and his girlfriend would visit Harbor City to see their future apartment move nearer and nearer to completion. They felt like they were doting over a growing child. At that time, Wen used to visit a colleague’s home in the neighboring Golden Mile Island community. The strict watch that the security guards kept over the entrance to the compound made him look forward to his move into Harbor City all the more. “It made me feel like a king,” Wen said. Wen’s Harbor City apartment was finally available at the end of 2014. He adopted a harbor theme for the apartment’s decoration. The color scheme of the furniture was blue and white, the curtains were decorated with pictures of seashells, and the bed linen featured a red sail motif against a blue background. When Wen’s father visited, he brought a clock in the shape of a life buoy. The majority of homeowners in Harbor City shared a similar story. They were around 30 years old and had relocated to Tianjin from another province. They had enjoyed a good education and made a comfortable living. Their parents had put down deposits on the new properties, and the young couples would repay the mortgages themselves. They were still young, but they had already entered the ranks of the middle class. Their lives had seen constant improvement, and they were excited for what the future had in store. Cheng Yi moved to Taida in 2011 to start a new job at the Standard Chartered Bank. He met and fell in love with a colleague, Li Yan. The romance that followed and the eventual marriage turned Cheng’s life around. Previously, he had felt his life was aimless. As a single man his life consisted of studying, working, and playing online video games. After he met Li, his life found meaning. Marriage plans had them looking for a house to start their family in. Cheng and Li purchased their first apartment together in Harbor City in 2012 and began to think about having a child. The same year, metro employees Jiang Ru and his wife also bought an apartment in Harbor City’s Building 21, just a few minutes’ walk from Line 9’s terminal station. Harbor City, true to its name, is located right at the edge of where the city ends and the harbor begins. Building 21, where Jiang and his wife lived, faced south towards Tianjin harbor's container yards, and in the distance, the Hai River flowing into Bohai Bay. Xiang Genghui had set his sights on a house with a courtyard so that he could grow plants and keep a dog. One day in 2010, he was going for a walk in the park when he came across a real estate office advertising properties in Harbor City. Up for sale was a finely decorated ground-floor apartment with four bedrooms, a study, two bathrooms, and a 160-square-meter courtyard. It was exactly what Xiang had been looking for. He sold his house in nearby Taifeng, took out an extra mortgage, and bought the new place, parting with more than 2 million yuan (more than $300,000). Xiang had moved houses a few times now, but in his Harbor City apartment he felt at home immediately. “I wouldn’t sell it if my life depended on it,” he said. In the first five years Shu Chang lived in Taida, he changed apartments eight times, renting on each occasion. By 2013 he and his girlfriend were preparing to get married, and they needed to buy a house. They opted for Harbor City, purchasing a southwest-facing apartment. Shu’s parents contributed 260,000 yuan for the deposit, and a third of Shu’s 7,000 yuan monthly salary went towards the mortgage. At long last, his life was about to gain some stability. 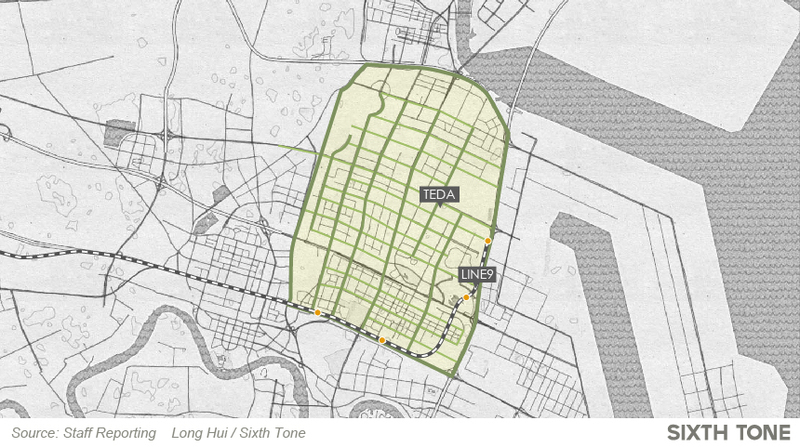 As is the case for the major thoroughfares in many Chinese cities, people associate Taida Street, which runs past Harbor City, with one thing: congestion. As freight volume at the port of Tianjin boomed and Taida’s population grew, vehicle use increased dramatically, bringing with it noise, pollution, and traffic jams. But the chaos stops as soon as you enter Harbor City. The compound is neat and orderly, and the view is unlike anywhere else: There are great gaps between the buildings, and all the living rooms and master bedrooms face south, taking full advantage of the sunlight. Harbor City’s residents loved the compound’s services, too. Before Vanke’s security guards start their job, they are required to undergo training and pass a rigorous exam. When Shu and his wife returned from a trip to Japan in March 2015, the impoliteness of the Tianjin airport personnel reminded them with a shock of disappointment that they were back in China. However, the Harbor City security guards greeted them with a warm smile and a hearty “Welcome home!” before extending both hands to receive their entrance passes. It was almost as if they were back in Japan. Taotao wasn’t the only baby in Harbor City. Most of the houses had been sold to young families, and there were lots of children in the compound. The playground in front of Building 2 was always crowded with toddlers. Dudu, a 4-year-old from Building 21, loved the playground for its pirate ship and sandpit. She made new friends there every day. Harbor City was always at its liveliest at dusk. While Dudu played basketball with her dad, her grandmother joined the group dancing on the badminton court. Couples went for after-dinner strolls through the compound, enjoying some peace and quiet among the greenery. And now that Xiang Genghui of Building 2 lived in a house with a garden, he finally got the dog he had always wanted: Snowy. Xiang didn’t know many of his neighbors yet, but the neighbors all knew Xiang’s dog. Snowy’s fluffy fur shines a lustrous white from head to paw. For Children’s Day on June 1, Harbor City held a family sports day. It was the day Zhang Jie and Guo Shanyi found out they were expecting a child. They decided to buy a car soon after. Guo would recoup some of the cost by driving for a ride-hailing app every now and then. He had a house, a car, a wife — and a child was on the way. He felt like he couldn’t be more pleased with how life was going, and on occasion a lingering thought would come to mind: Was there anything left in life worth striving for? On the morning of August 6, Guo parked his new car near the north gate, waiting for a passenger, a fellow Harbor City resident, to arrive. Guo didn’t often use the north gate, and now he noticed that a kindergarten and primary school were under construction. He wondered if they would be good schools — but then he reasoned that if the children of his Harbor City neighbors were to attend them, how could they possibly be bad schools? There was something about Harbor City’s residents that just made them all seem pleasant and likeable. Guo leaned back in his seat, content and contemplative. He had a house, a car, a wife — and a child was on the way. He felt like he couldn’t be more pleased with how life was going, and on occasion a lingering thought would come to mind: Was there anything left in life worth striving for? On August 12, Li Xiaobing of Building 21 finally decides to go down to the property management office to ask for a list of the plants in the Harbor City gardens. Her daughter Dudu often points at plants and asks her what their names are. More often than not, Li has no idea. The security guard prints out a receipt of a recent plant order for her, and Li heads home to search the Web for pictures. Tomorrow, she and Dudu will go plant-spotting together. “This is going to be such a great game,” she thinks to herself. At 10:30 in the evening on August 12, Li is reading in the study when through the window she suddenly sees a fire has broken out north of Harbor City. Twenty minutes later, there is a huge column of water — firefighters have arrived to put out the fire. She decides to wait for the fire to be extinguished before going to bed. At 11 p.m. Ji Jianfeng is lying in bed reviewing for an exam. It’s still one month away, but it’s a big one and he wants to be well-prepared. It’s getting late though, and she’s starting to feel tired. It is 11.30 p.m. Ji suddenly wakes up. He had dozed off. Li Yan over in Building 1 usually wakes up around this time, too, because Taotao tends to have midnight cravings for milk. Today, though, she finds that he is sleeping soundly. At 11:33 p.m. Xiang Genghui is lying in bed with his phone. He’s sending a message to a friend, when all of a sudden he hears a loud, rumbling noise. He assumes it must be thunder and goes to open the garden door to let Snowy into the house. Thirty seconds later, Xiang hears a deafening explosion, and Harbor City begins to shake. Cheng and Li had Taotao’s remains cremated. They scattered his ashes out over the sea, into Bohai Bay. This article has been updated to correct the gender of Ji Jianfeng. Ji is a man, not a woman.